Looking southeast from the intersection of NW 12th Ave. & NW Glisan St.
West elevation (NW 12th Ave.). Looking up along NW 12th Ave.
As seen from NW 12th St. & NW Flanders Ave.
South elevation along NW Flanders Ave.
North elevation (NW Glisan St.). Main entry (NW 12th Ave.). 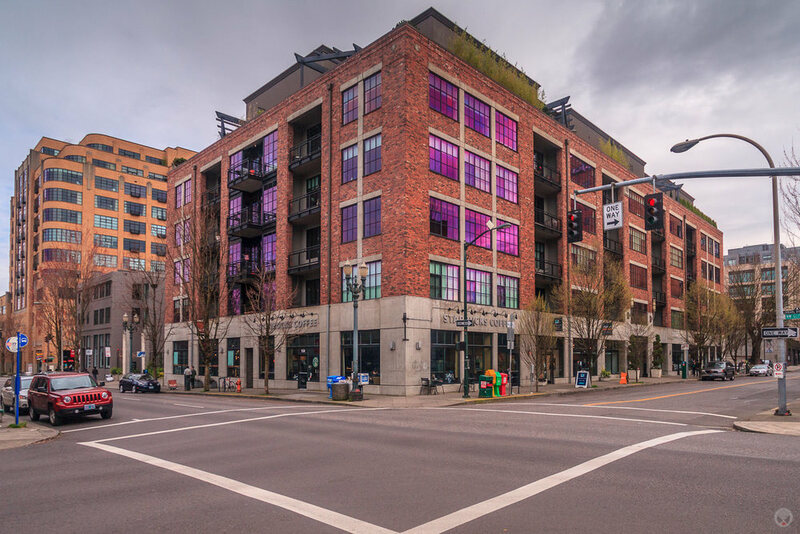 My time at Ankrom Moisan Associated Architects was marked by a number of large, mixed-use projects within Portland's historic Pearl District. 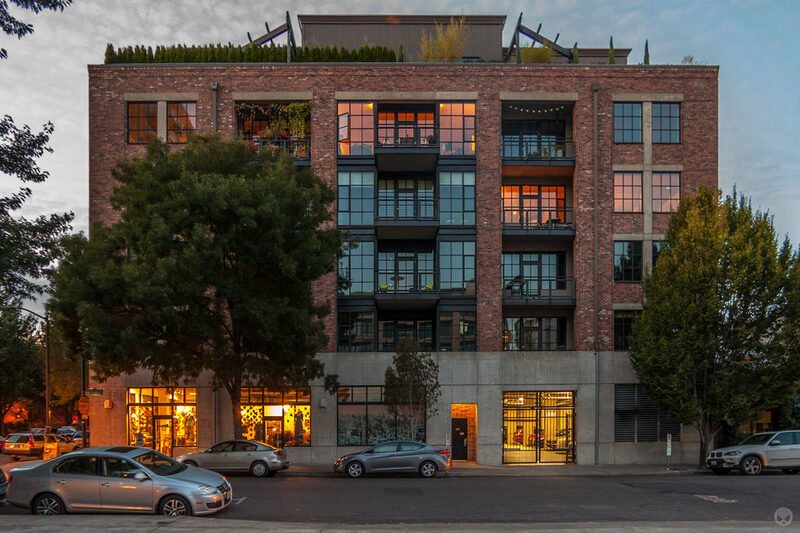 Their remodel of the Chown Pella Building afforded me a brief taste of this type of project. However, their next building (for the same developer) allowed me to be a part of the project from the start. 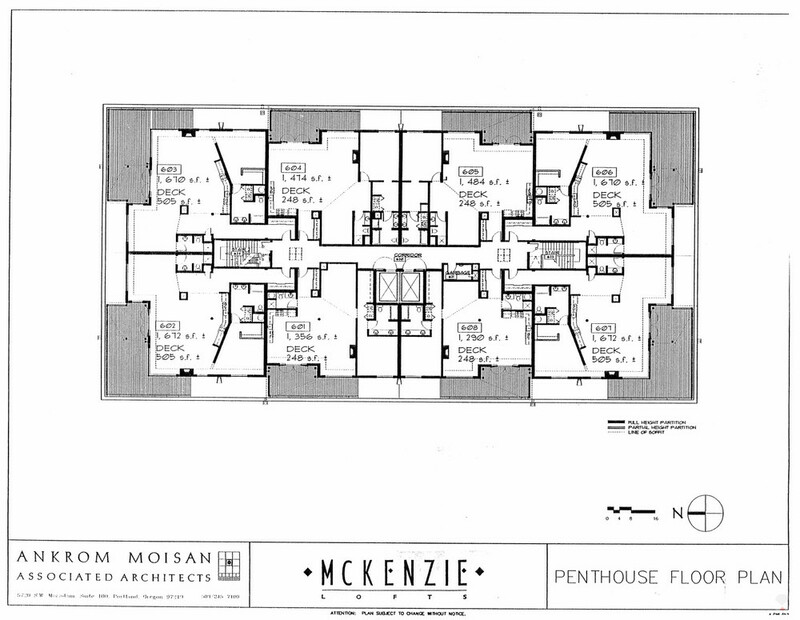 McKenzie Lofts was a new, half-block, mixed use building that reflects the light industrial and warehouse architecture of the area. The ground level concrete wall with brick pilasters establishes a strong visual base for the residential units above. 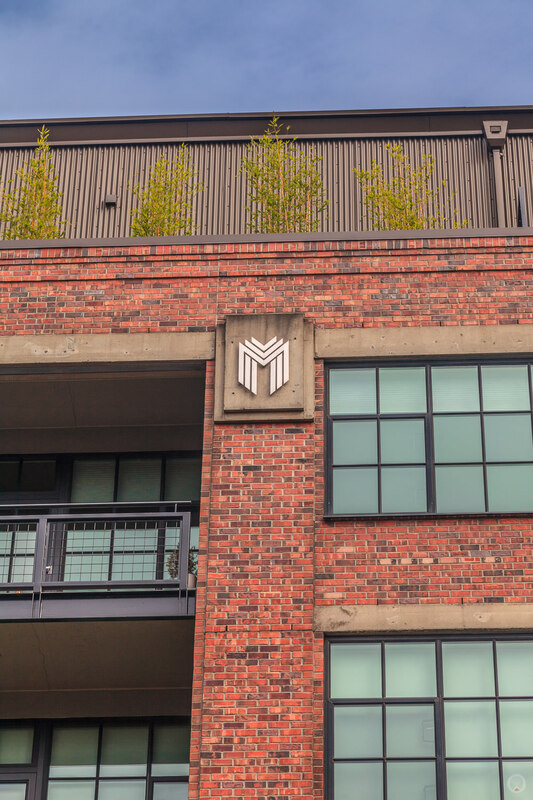 In turn, the loft units provide open, flexible living spaces with balconies and roof terraces - enhancing connection with the surrounding neighborhood. 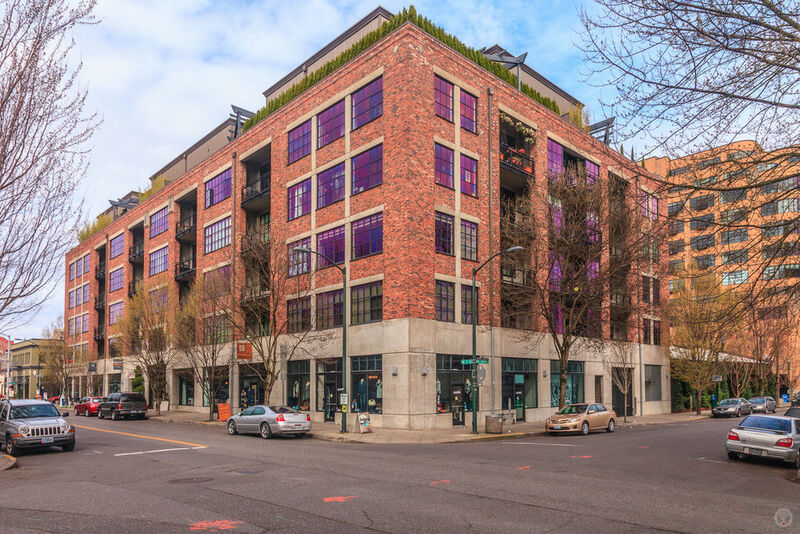 Portlandcondos.com has created a short video about McKenzie Lofts. 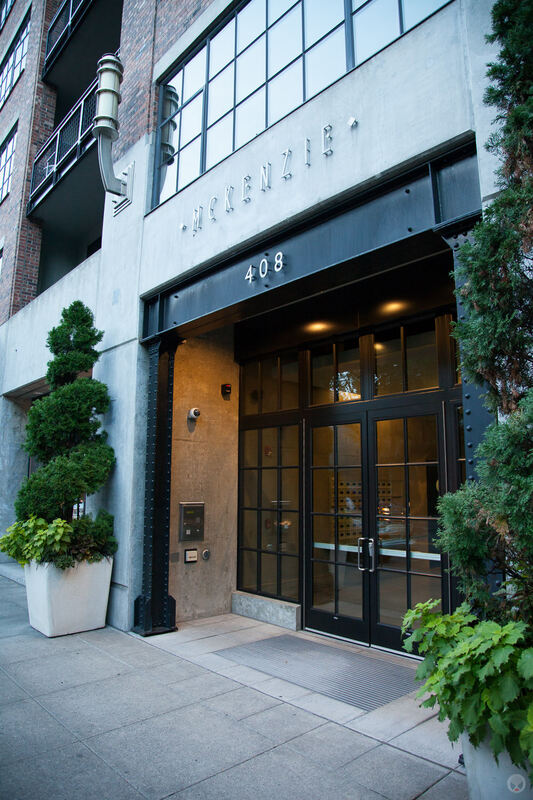 Square Footage: 134,000 gross s.f. in 5 stories plus below-grade parking.